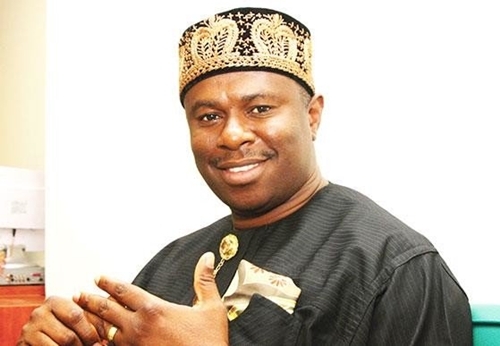 The House of Representatives adhoc panel probing the status of Treasury Single Account (TSA) on Thursday resolved to issue an arrest warrant against the Managing Director of the Nigeria Maritime Administration and Safety Agency (NIMASA), Dakuku Peterside, for consistently failing to appear before it. The committee, chaired by Rep Abubakar Nuhu Danburam (APC, Kano), at a session in Abuja said Peterside, who was a member of the House during the 7th Assembly, has been taking them for a ride. Danburam said they have sent Peterside several letters to appear and clear the air on the remittances made by NIMASA to the TSA, but that he neither responded to the letters nor deemed it fit to appear. He said being a former member of the House, Peterside is well abreast of all the legislative procedures, but that he ignored all that for reasons best known to him. Angered by the development, some members of the panel moved that the committee should approach the whole House to obtain an arrest warrant to be signed by Speaker Yakubu Dogara for Peterside to be arrested and presented to testify. "What we've done so far is that a motion has been moved that NIMASA DG has been failing to appear before us despite several letters. He is a former member of this House, and he knows how the procedure is. "We'll be presenting a request before the plenary to ask that an arrest warrant be issued against him. As for bank CEOs that aren't here, we have discussed with some of them. We'll give them another date. But if you're not a CEO here, you can take your leave," he said. Daily Trust recalls that the panel had last week summoned Peterside and the Managing Director of the Nigeria Petroleum Development Company (NPDC) Yusuf Matashi, to appear over issues raised on TSA. The panel had lamented the inability of the two top government officials to honour its invitations despite several reminders. The lawmakers said it was disheartening that government officials were shying away from their responsibilities of clearing the air on matters related to their job, insisting that the panel would do its job no matter what.